The supplement company Kevin Levrone Signature Series has introduced a new addition to its more advanced Black Series of products. The latest from the brand actually sees it jump on the trend of essential amino acids and release a supplement simply named EAA. 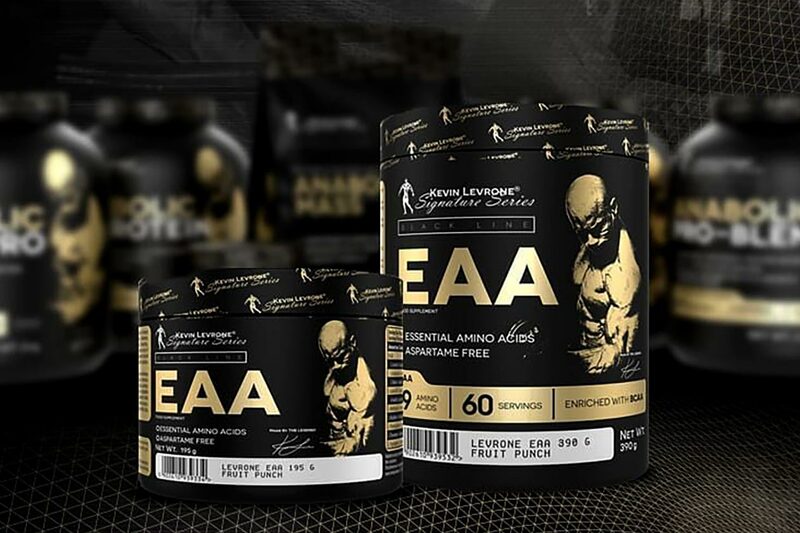 The Kevin Levrone Signature Series EAA is designed to help in the same areas as most other amino products. It promises support for muscle recovery, regeneration, and protection. As far as its formula goes, the supplement features only EAAs at just under 5g with 1.878g of that being BCAAs. Kevin Levrone Signature Series has launched its new Black Series EAA in five different flavors with Orange, Watermelon, Mango Passionfruit, Fruit Punch, and Lemon Lime. It also comes in two size options with a regular 30 serving tub as well as a double size 60 serving.